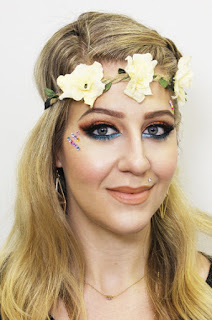 Home coachella makeup festival makeup makeup for blue eyes makeup for fair skin Coachella Inspired Makeup Tutorial in English and Spanish! Coachella Inspired Makeup Tutorial in English and Spanish! I'm back with another makeup transformation! As winter dies down, Spring is approaching and with that tons of music festivals like Coachella! 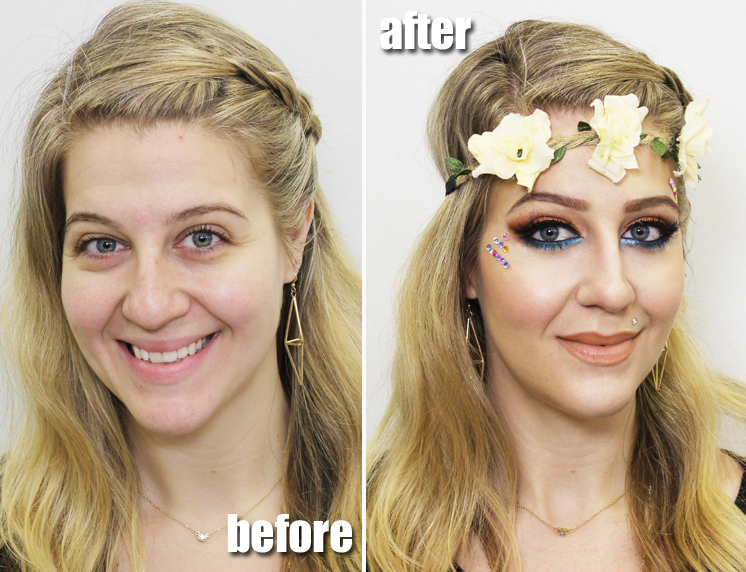 I was inspired to do a Coachella inspired makeover that is super fun, bright and sparkly. This is also an awesome look to bring in the warm weather months. Check it out! And the before and after! Shout out to my lovely model Natasha from IMA. The key to this look is to have fun with color. 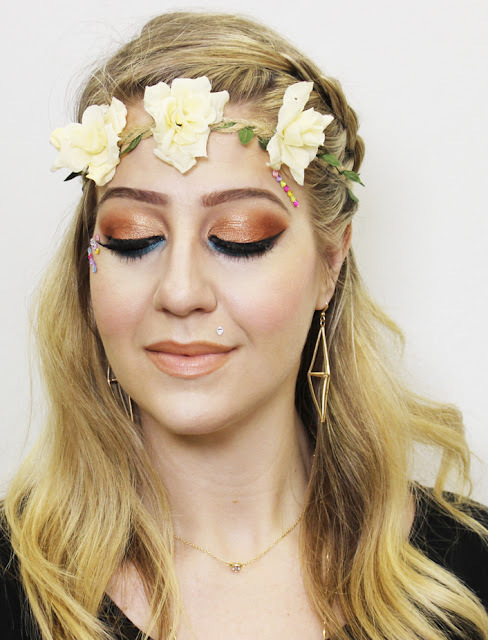 The copper really shines and with a pop of aqua in the lashline, the look really pops for the lively occasion. If you have blue eyes, this also really makes your eyes pop! When it comes to the skin, opt for something light that won't feel cakey in the outdoor, hot weather. I made a custom tinted moisturizer mixing foundation with m favorite moisturizer with spf. The video is also available En Espanol! Thank you to Natasha for providing the voiceover. We are gearing up for the next set of Pro Makeup Certifications at Industry Makeup Academy. If you want to become a certified makeup artists and learn how to do looks like this to accomodate different skin tones, shapes and occasions, please sign up and invest in your career. We will begin March Day and Evening Classes on March 27th and our Class taught in Spanish will begin in April. You can register at www.ima-atlanta.com. Use coupon code REN16 for a discount off registration.